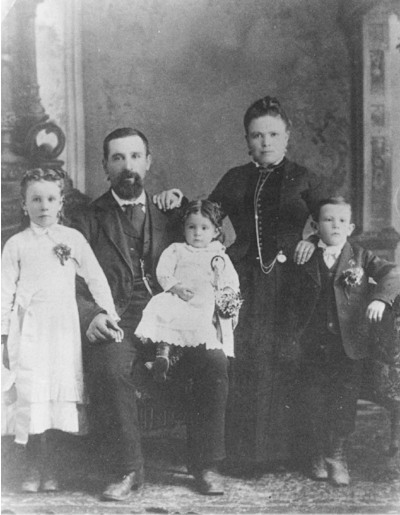 Reynier Family, c. 1883. Parents Joseph & Josephine; children (from left) Josephine, Hortence, Joseph P.E. The Reyniers (pronounced ren-YAY), homesteaded in the 1860s in Reynier Canyon, between Placerita and Sand canyons.